In a fun imagining of the earth in the days of the dinosaurs, this board book explores the prehistoric world and introduces children to all of the creatures and natural wonders of that time—from volcanoes to dinosaur favorites such as Stegosaurus and Tyrannosaurus rex. 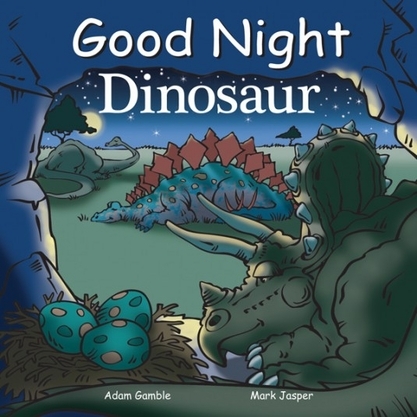 Designed to soothe children before bedtime with rhythmic language while instilling an early appreciation for the wonders of the natural world, this book features an exciting experience in the world of dinosaurs. In a fun imagining of the earth in the days of the dinosaurs, this board book explores the prehistoric world and introduces children to all of the creatures and natural wonders of that time.